The unforgiving environments found in the southern extremes of Chile easily highlight the “remote” in remote monitoring, gplink said, and now the company is aiding captains in the region. 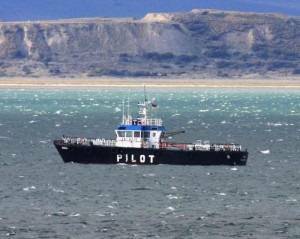 Operating in close proximity to the Cape Horn and Drake Passage, the pilot boat Kaitek helps oversee commercial traffic in and around Punta Arenas, Chile and throughout the Straits of Magellan. A natural passage between the Atlantic and Pacific oceans, pilot operations in the straits are of critical necessity to large vessels due to the passage’s unpredictable winds and current, high probabilities of severe weather and the narrowness of the passage itself. Recently installed to compliment their other navigation and tacking systems, gplink provides in-depth engine monitoring and fuel consumption reports to the Kaitek’s operators that other systems simply cannot. Built in 2010 by Detroit Chile, the Kaitek is a tough and capable 37-ton vessel, and gplink is now involved with the mission critical tasks of helping other large traffic navigate these unpredictable and often stormy waters.